Comment: In this text, the prophet Isaiah uses bold words of command: Arise! Shine! Lift up your eyes and look around! Isaiah is urging his people to pay attention to what is happening, what they can see, and what God is doing in the world. Yet, for Isaiah, it is not simply about the present, but also about the future. God will continue to be active and our hearts will rejoice. The present darkness will be replaced by future light. The Night Diary takes the form of Nisha’s diary full of letters to her deceased mother. 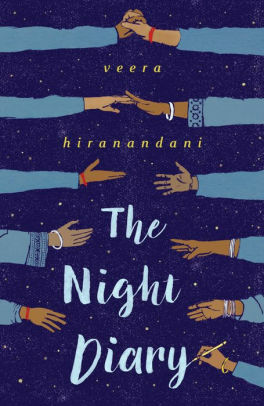 Nisha, a twelve year old girl, writes of her family’s journey from Pakistan to India in a newly-divided country. Nisha finds herself caught not only between two different lands, but different faiths as her mother was Muslim and her dad is Hindu. While The Night Diary is written for older children, its message can resonate with younger audiences as it is one of hope. The heartbreak and confusion that Nisha experiences doesn’t destroy her sense of hope for the future. One might wish to read and explain excerpts, and even supplement explanations with a map of India and Pakistan, speaking to God’s ongoing work of reconciliation in the world and promises for the future. Comment: Brimming with messages of community and inclusion, Penfold writes of a school where are all children are welcome, “No matter how you start your day,” “What you wear when you play,” “Or if you come from far away.” All are Welcome imagines a school in which children learn from one another’s similarities, as well as their differences, and how each child’s presence in the school is valued and needed. This school sounds like the body of Christ, a community of individuals from across time and space, united by the Holy Spirit through Christ. Paul speaks of the unifying work of Christ that transcends the boundaries humanity has built up between individuals and communities and transforms individuals into “members of the same body.” However, being members of one body does not necessarily erase differences between members, but transforms them into bridges. Many of those differences contribute to one’s particular identity and offer a unique reflection of the image of God, thus helping others to know God in different ways. Paul speaks to the “rich variety” of the Church that reflects the wisdom of God. Children may ponder together the unique ways they reflect the image of God and help others to know God. Comment: As the wise men from the east journeyed toward Bethlehem looking for baby Jesus, they encountered different signposts along the way helping them find him. First, they asked around in Jerusalem as to Jesus’ whereabouts. But then on their way from Jerusalem to Bethlehem, they spotted a star in the sky that guided them and stopped over the place where Jesus was. Initially, Jesus’ location was a bit of a mystery to the wise men. However, after the wise men paid attention and looked for clues, they eventually met the newborn Jesus and offered their gifts to him. 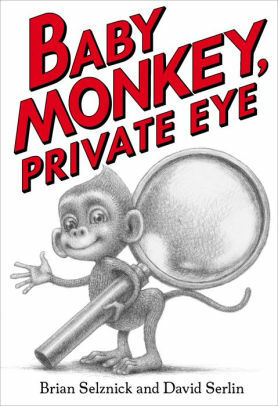 Baby Monkey is a private eye and he has to pay attention, too, if he is going to find the objects that have gone missing. He looks for clues and takes notes to help him find what he is looking for. What signs and clues in life help us to encounter Christ and to learn about God? What points to the truth of God’s love and promises for us? We are happy to welcome Union Presbyterian Seminary alumna and Associate Pastor at First Presbyterian Church, Richardson, TX, as our Revised Common Lectionary Links writer for the next seven weeks. Lectionary Links (RCL): January 6, 2019 by Storypath is licensed under a Creative Commons Attribution-NonCommercial 4.0 International License.